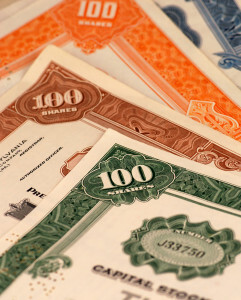 Should Founder’s Stock be Subject to Vesting Before a Venture Financing? Start-ups are popping up all around the country. As our society continues its shift towards a strong, tech-driven economy, more and more individuals are looking to find the “next big thing,” especially in the tech industry. Entrepreneurs are more and more motivated by success stories such as those of Uber, Facebook, and Airbnb. But tech start-ups, while popular, are just one of the types of businesses that are appearing in the commercial landscape. 514,000 people became new business owners in 2012. As the US economy continues to improve, that number continues increasing. Venture financing is a driving force behind the dynamic growth of small businesses such as start-ups. The National Venture Capital Association estimates that venture capital firms manage nearly $193 billion in total capital. Individuals starting new business entities, especially those looking towards future venture financing, must be aware of financial and legal considerations. Founders invest in their business entity by contributing either cash and/or intellectual property. In exchange, founders receive what is known as “founder’s stock,” a form of stock in the entity which comes with voting rights. Start-ups with more than one founder and with plans to either be acquired or receive venture financing will typically have vesting schedules respective to the founders stock issued. Vesting is a process in which an equity interest (here, founder’s stock) becomes no longer subject to forfeiture or to repurchase from the business entity. If vesting has not yet occurred, an individual may forfeit his or her founder’s stock upon departure or for some other cause delineated in the company’s governing documents. Although the shares are issued to founders at the time the corporation is founded, the shares will continue to be held by the corporation until they have vested pursuant to the corporation’s vesting schedule. The founders will still have voting rights despite their shares not being fully vested. Founders will also be subject to the corporation’s Automatic Right of Repurchase if they are terminated before their shares are fully vested. Section 83(b) Elections are filed for these unvested but issued shares. Why is the Vesting Schedule a Useful Tool? By implementing a vesting schedule, the various founders are not only incentivized to remain with the business entity through such a critical period but also to strive towards maximizing its value for potential venture financing. Moreover, the terms in the vesting schedule provide a clear understanding as to those procedures should a founder leave the entity or stop working towards its growth and development. It is not uncommon that founding teams fail to stay together. Complications may arise if the founder’s stock vests on Day one and the founding team separated prior to being acquired or receiving venture financing. Were one from the founding team to leave early, he or she would leave fully vested stock with voting rights, and this scenario could very easily complicate the approval process for an entity to receiving venture financing or to become acquired. The legal issues related to vesting are often very complex, and it is highly recommended that entity founders obtain legal counsel in order to better protect founders’ interests relative to vesting. Call Structure Law Group today to schedule a consultation.